Museum of bad album covers: the worst album covers ever! #33. 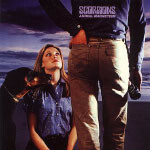 133) Highly original image of a girl leaning over a car, this time from HM band "Damien". A nice touch is the way that she is "branded" like a cow. ps If you look at the large version, you will notice that the girl in the picture has been blessed with a particularly large set of "beef curtains" or "thighslappers" as they are sometimes known. 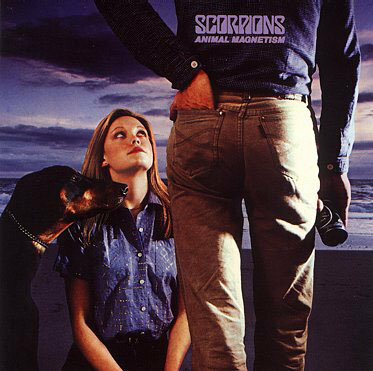 134) It's bad album cover favourites the Scorpions again. Here they reach new heights in sexism with their cover for "Animal Magnetism", where they equate women with dogs. 135) A naked lady, a grubby fridge, Mr Cerrone and some spilled white fluid on the floor. 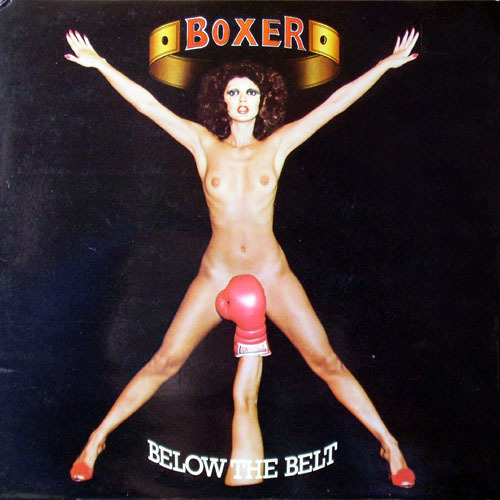 136) Boxer's "Below The Belt". This one reminds me of the "This is Spinal Tap" rockumentary, where the fictitious manger, Ian Faith comments on the banned cover of their album "Smell the Glove". He said ... "Well, you should have seen the cover they wanted to do. It wasn't a glove I can assure you!"